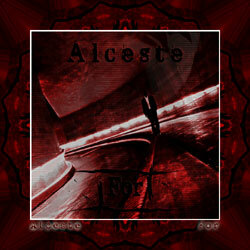 This debut album by Alceste features a complex and melancholic blend of dark ambient and melodic elements, illustrating the arc of a fateful relationship. Webbed Hand netlabel releases are shared under Creative Commons licenses. Unless otherwise specified, works released here have the by-nc-nd license. Alternate licenses will be clearly stated in the track metadata and on the album's download page.